It has been a good while since I've opened up a blaster of 13/14 Upper Deck Series Two. Since it's been so long, I don't really remember what to really expect from it. 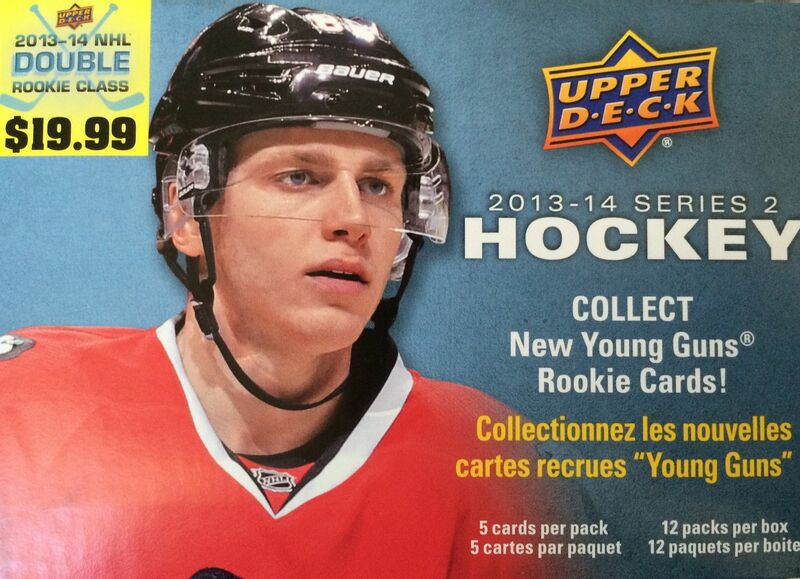 But being an Upper Deck Series Two product, there should be update cards from other brands in here to discover. 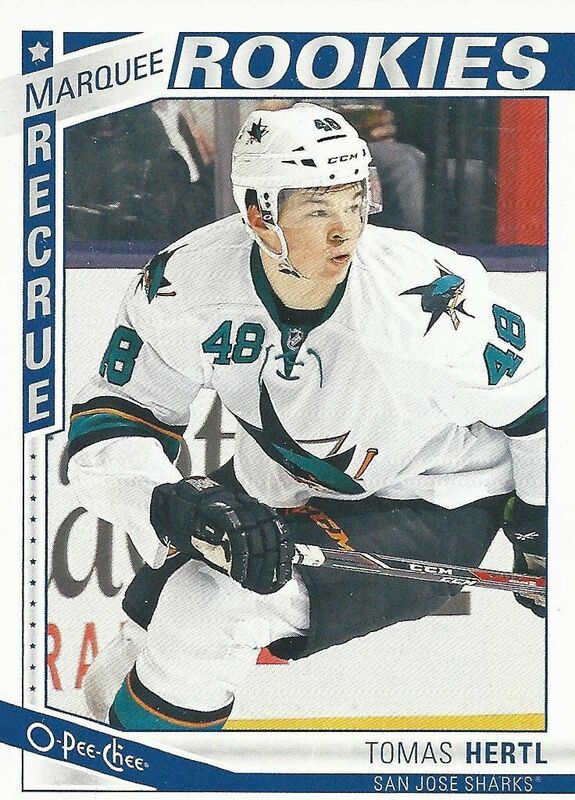 Just as with any Upper Deck Series One or Two blaster, this one should be holding at least two Young Gun rookie cards. I love Young Guns because of their popularity among collectors even though they don't have an autograph or memorabilia affixed to them. There are some of the most popular cards in the hockey world! Like I mentioned earlier, it has been a while since I opened one of these blasters. I used to get these at my local Target store at the full price of $19.99. I probably won't ever be willing to pay full retail price for one of these anymore, but I'm ok with the current $9.95 price I'm finding online. If not for a couple home team rookies, this blaster may have been a big disappointment for me. 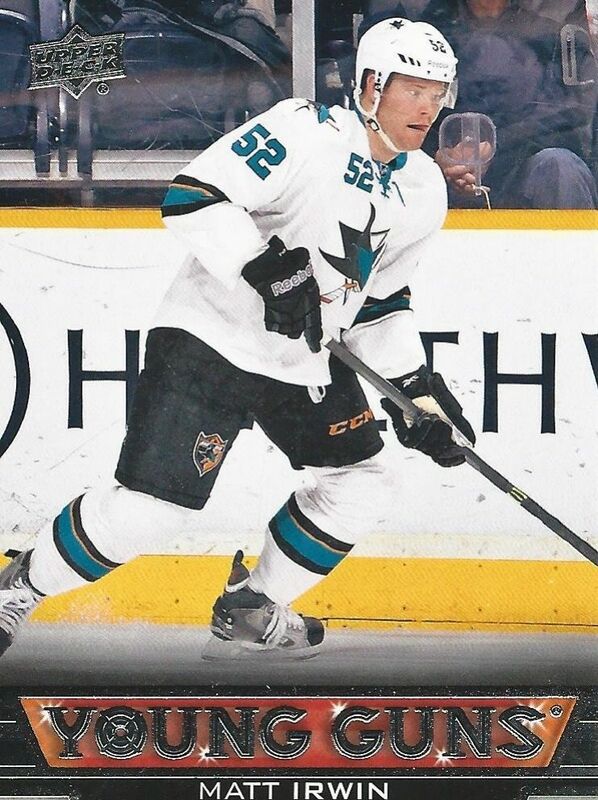 But I'm glad to have pulled a couple of nice Sharks rookie cards. Other than that, this blaster had the standard of what Upper Deck blasters have - a couple rookie cards and a few special update and insert cards. When I was buying these blasters at my local Target, I was really hoping to find a hit... even if it was just a jersey card. Unfortunately, that didn't happen here either as hits of any kind are super hard to get inside blasters. I can't complain too much about this one though, anytime you can get cards that you enjoy out of retail that's a pretty good thing. Upper Deck always surprises me with the MVP rookie cards from this year. They have a great look to them that I really enjoy. I am usually not a fan of MVP at all, but sometimes their simple rookie designs are just so darned well done! 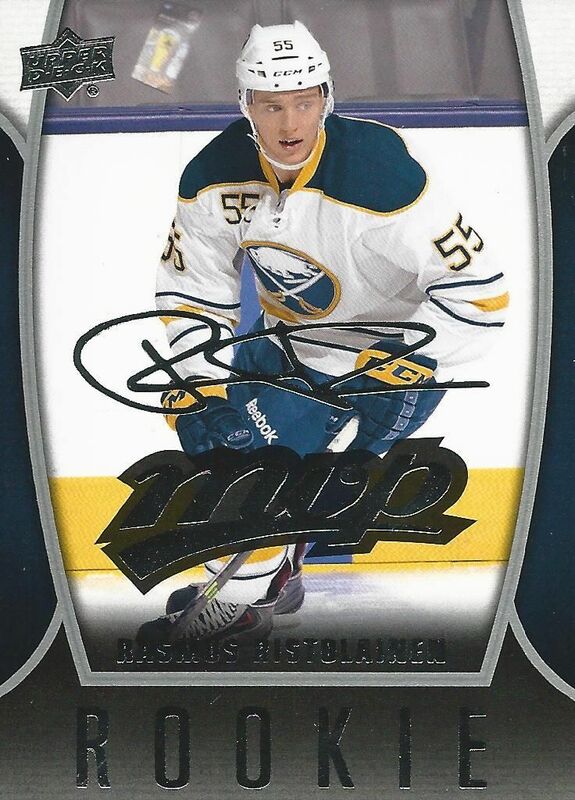 Oh, yea, and Ristolainen's name is just fun to say! I'm always happy to get a Sharks Young Gun out of a blaster even if it's a Shark that isn't worth a ton in terms of hobby value. Matt Irwin plays defense, and I've seen him in person a number of times. Glad to get another one of his Young Gun rookie cards. Yay Hertl Power! I really don't have much of Hertl in my collection so this pull was sweet. He came out of the gates blistering hot as a rookie but has since cooled. It may be time to get a few of his cards as they are more affordable. With a couple of nice Sharks cards I'm glad to have this blaster. Sure, it wasn't the best in terms of overall value, but I enjoyed it nonetheless. At half the price of its original price, I'm pretty sure I'll be sure to track down a few more of these blasters to open up in the future. Maybe one of these days a hit will come out!